“Thank you so much for an amazing job .. we can always bank on you guys for your professionalism and great service. Thank your girls too.. they were awesome. They catered a party for my wife and I, it was superb. The food, the service, the kindness all above and beyond. Thank you. I have used catering for two parties and received nothing but compliments from my guests both times! So good everyone asking for their information! To top it off, Roxanne is absolutely amazing and super easy to work with! She works hard to help make your event as stress free as possible and let me tell you- she succeeds at making this possible! She’s super flexible, helpful, and willing to help create a menu that fits your budget! LOVE THEM! Can’t wait to book our next event with them! I cannot say enough good about this company. Roxanne and her team are so thorough and responsive. She was so patient when I wanted 9 different menus and quotes so I could work out my budget accordingly. When the food arrived it exceeded my guests expectations. The quality was definitely that of a high end restaurant. I’ll definitely hire her again if I need her. So impressed with the Catering Service!! Roxanne was extremely helpful with every detail, she took the time to help me pick out different menu items as well as worked with our budget which I know can be a pain at times…so thank you Roxanne for being so patient, and wonderful every step of the way. The food was INCREDIBLE!! Not to mention how nice all the platters and set up turned out. SO SO very pleased in every way! Will most definitely be using again and again for all my catering needs big and small!!! Absolutely the best catering company. They catered our wedding with an amazing menu tailored to fit us and our guests. Roxanne made this part of our wedding planning so simple. She was always there to answer any questions and concerns and she even helped plan out our buffet and dessert area. The food was delicious, our guests are still talking about it. The set up was beautiful. The entire staff was friendly, courteous and so helpful. I was incredibly happy to have Roxanne there on our special day. She made sure everything ran smoothly and on time. I highly recommend to anyone needing an event catered. Thank you Roxanne and to the rest of your team for such a wonderful, tasty and amazing experience!!! We chose them based on Yelp reviews and would use them again and recommend them to anyone and everyone. Roxanne is a wizard. She responds quickly, offers suggestions if you need them, and doesn’t waste time. Our order included several appetizers (the pigs in a blanket were a huge hit, so were the salmon dill bites) and two entrees and side dishes. One of our guests has a serious onion allergy and they were incredibly easy to work with…leaving onions out per our request for the Chicken Paisano (which was very good). Highly recommend the brisket, the spinach and the beans. Dessert, particularly the mini-cheesecakes, disappeared. Call them. You won’t be disappointed. They are a top notch catering company, we have used them several times now and they are always accommodating, helpful, professional and the food is always fantastic! I would highly recommend them for any catering event! I chose to cater 4 dinners and 3 lunches for business meetings after looking at a couple of different companies. I went with them as Roxanne was extremely easy to work with and very flexible as our final schedule wasn’t determined until a few days before the meetings. She and her husband always delivered the food on time and set up buffet lines with heaters so the food would stay warm. Everyone raved about the food and there was plenty of variety to keep the meals interesting. 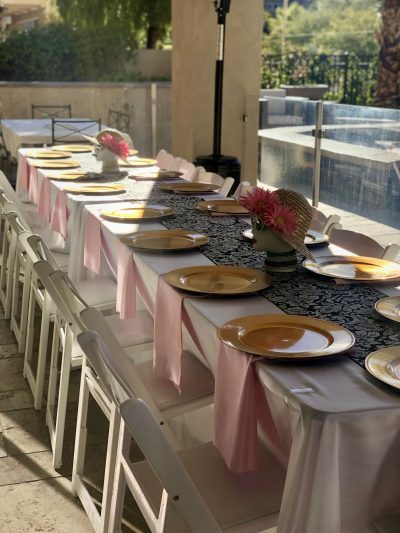 I found Roxanne through yelp and my fellow yelpers did not steer me wrong and I hope you too check them out for your event. Planning a wedding remotely (I’m in the DC area) was challenging. Roxanne was wonderful to work with. She was responsive, professional, and really cared about all aspects of our event. Everyone raved about the food (including myself)! Thanks for doing such an awesome job at my and Melissa’s wedding this past weekend. Food was absolutely wonderful!! Wow, where should I start!? Roxanne went above and beyond to make sure everything turned out perfect for our event. She was extremely prompt when responding during our planning period. She was prompt for our event. The food was amazingly delicious! We had many appetizers and there was not 1 thing that I didn’t love. 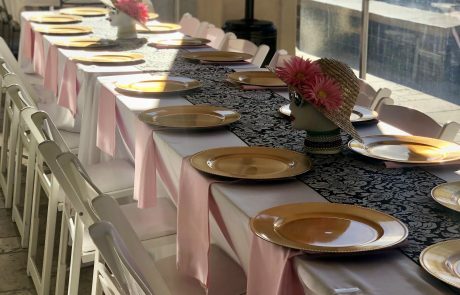 We had a minor issue with another vendor that did not show up with our tables and Roxanne found tables in the venue that we could use so that everything went as planned! I plan many events and have never had a vendor go so far as Roxanne to make sure everything went smoothly. Her pricing was very reasonable. We had a ton of food and the warm stuff stayed warm! She also did us a favor and made something special for our work event and delivered it 3 days in a row! I couldn’t ask for a better caterer and we will definitely use her services again for any event we have in Las Vegas! Amazing food and very professional. A must to do when in Las Vegas!!! I wish I had pics to post but there wasn’t a single morsel of food left over after our reception. From beginning to end the service was amazing! They were so helpful in helping me pick out my menu. No frills, easy to work with. Set it and forget it and you can trust that they will be there on time with hot food ready to eat! Our order was for an in-suite reception at the Mandalay Bay. They got into our room no problem. I didn’t get to try everything unfortunately but everyone raved about how good the fish cakes were especially. I did try the chicken cattitore however and is was melt in your mouth good. I would recommend 1000 times over. I am so glad we went with them. We used them for our wedding on the strip. We go married in our hotel room & wanted to have dinner catered in our room as well. They were much more reasonably priced than anyone else we spoke to & their menu had so many more options! We really wanted a bunch of appetizers so that we could have a good variety. They delivered everything & set it up with disposable items so that we didn’t have to worry about setting an end time. We had toasted ravioli, stuffed mushrooms, bacon wrapped scallops, mac n cheese, grilled skirt steak & chicken spiedini. Everything was delicious! The scallops were the first to disappear. The sauce for the chicken was excellent, the steak was juicy & I loovvedd the mac n cheese. Everything was fantastic. Also, Roxanne was very responsive & great to work with! I cannot say enough great things about them. The email correspondence with the company with excellent, anytime I sent an email I received a response soon after. In regard to payment, they made it easy for me living in canada to provide payment to them before we got to vegas for the wedding. The food was outstanding and was gone in less than 2 hours! We had no left overs either. We ordered the crustinis, crab cakes, stuffed mushrooms, steak skewers, and caprese salad. We received so many compliments on how amazing the food was, and how nice it was to have such a variety. Also, where we are from in Canada, fresh mozzarella isn’t available for us, so the caprese salad was a huge hit! Roxanne went above and beyond for us, we had some extra things to pick up at a near by Costco that needed to be refrigerated, and Roxanne was kind enough to swing by and grab it for us. Everything was set up in an orderly fashion, along with trays, warmers, cutlery, and plates. Not to mention, she was helpful with us picking dishes, ensuring we had enough for our group, and ensuring that it fit our budget. Food is a big deal when it comes to my friends and family, watching the food get devoured and hearing all about it for a couple of weeks after was not only a huge compliment for us as hosts, but it made me truly happy knowing we went thru such an amazing company. I highly recommend Roxanne and her company, especially if you are coming from out of town. Great service and even better food. We had lunch and cocktail hour catered by them for the UNLV Geoscience Department’s biggest event of the year, and it was delicious! We have used them for the last few years and were happy to have them back again. Our event had some unexpected cuts in our budget, and Roxanne was very helpful in accommodating our new budget and menu. The team is super sweet and a pleasure to work with. The crab rangoon and Bolognese were particular hits! I’m not from Vegas and needed a catering company for my wedding. I found them online and took a shot in the dark. From the first call to Roxanne to the delivery of the food the word amazing would be an understatement. Roxanne was so helpful with the planning and the food was delicious! Having to plan so much to have 50 people travel across country for a wedding I put all my trust in them to deliver as promised and they did, above and beyond. If you have an event and want great food you need to use them, they are second to none!! Thank you Roxanne. I just had a party for my daughters 21st bday at the Mandalay Bay! Roxanne catered the party and it was awesome! The meatballs were off the hook!!!!!! And the filet mignon crostinis were phenomenal!!! At first I didn’t think it was going to be enough food but it was! I highly recommend them! And Roxanne will work with you and your budget!! And she recommended a cake person for the cake and that was awesome too! From my first meeting with Roxanne I knew we were in good hands. She came to meet me at my home and explained everything I wanted to know. This was my first time working with a professional caterer and I had a ton of questions. There was no pressure and I knew before she left that hers was the company we would be going with. She helped me plan a dinner for my grandsons wedding of 125 guests. She offered some extra touches like a hot chocolate bar for arriving guests because the ceremony was outside in December. Then, the reception buffet was perfect. Everyone loved the food, especially those who came back for thirds! The service was great and I didn’t have to worry about a thing. Best of all was that this wonderful food and service was within the wedding budget. I highly, highly recommend. Awesome!! Roxanne was so wonderful!! We had a DIY wedding and she was always there when I had a question or concern. She worked with us to make our wedding great with our vegetarian menu and within our budget. Everyone loved the food!!! I would recommend to anyone!! They are great!! Amazing! Incredible! Much more than I expected! Roxanne was so patient, helpful, & flexible in helping me plan my catering needs and staying within budget! Made my sons high school graduation party so easy and stress free! For the 1st time in 18 years of throwing parties I decide to use a cater and actually got to enjoy my time celebrating and visiting with family and friends! Only regret is I didn’t know about them SOONER! The food was incredible! The chicken piccata left guests scraping the bottom of the empty pan craving MORE! The set up and service at the party was top notch! Roxanne would not let me lift one finger and even jumped in to help with things that weren’t her responsibility! Will definitely use again each time I need catering and recommend them to my friends with complete confidence! They catered both a casual rehearsal dinner (drop off service) and full buffet formal service for my son’s wedding on the next day. I can’t say enough wonderful things about the food and the service. Roxanne couldn’t be more caring and attentive to details. Our guests were VERY VERY complimentary about the food – and since they all took seconds (and thirds) they meant every word! We didn’t meet Ed, but we enjoyed his cooking. We booked the rehearsal dinner well in advance, and since we were doing it from across the country, we were depending upon the reviews from other people. Then when my son’s original wedding day plans fell apart less than two months before the event, we were blessed that they had the day available and could step into the void. Roxanne worked with me to design a menu around the bride and groom’s original plan since they were out of the country and couldn’t be consulted. Roxanne also suggested “Cakes on The Move” for the wedding cake which was a piece of art. The bride and groom couldn’t have been more pleased. Bottom line, if you want great food and great service for your event, contact them and you won’t have any worries. We do not live near Las Vegas and were planning our wedding weekend from Indiana. Initially we planned to do a DIY wedding reception in our large hotel suite. The health and mobility of my fiancé, who was still being treated for cancer, was not where we expected or hoped when we started making our wedding plans, plus we ended up with many more guests than we thought, so our reception plans were simply unreasonable and unrealistic. Hearing my stress on the phone, our cake baker recommended them. Less than two months before the wedding, I contacted Eddie and Roxanne, who saved the day. Unfortunately with the time and distance, we were unable to taste the food prior to hiring them, but everyone at the reception thought everything tasted great. They were super easy to work with, and everything went smoothly. They came to our suite while we were off getting married and set up the food so it was hot and ready as soon as everyone arrived back at our suite. It was like magic. Their prices were also a fraction of the cost of having the hotel cater our reception. We recently used them for our wedding and let me just say, FANTASTIC!! Roxanne was punctual, professional, and absolutely wonderful. The food was delicious, the service was outstanding, and the stress free time we had was priceless. I would highly recommend for any event. Would also recommend the stuffed mushrooms and meatballs for apps and then the glazed salmon and chicken picatta for the main course. Roxanne, thank you for making our wedding as wonderful as it was. Roxanne and Eddie catered our daughter’s wedding on a short notice!! They were amazing!! Roxanne worked with us on menu and stayed within our budget! I know they went above and beyond to ensure we met our budget. We can’t thank them enough! The food was excellent!! Our guests raved about the meal all night! Our deepest compliments to the chef! Roxanne and Eddie have made our daughter and new son special day even more complete with a service we were all proud of, Thank you!! Roxanne catered dinner for our backyard wedding at a residential home. Everything turned out great! I wasn’t sure of what type of food I wanted and Roxanne made recommendations and helped me pull together a buffet drop off menu for 45 people. Roxanne was always quick to reply to any questions I had and the whole process was super stress free. She showed up on time and set everything up quickly. We went with the baked ziti, chicken piccata, grilled veggies, rice pilaf, and ceasar salad. The food was all delish! I would definitely recommend hiring them for any event! What a great business, I would recommend them to anyone and everyone. I threw a party for my husband’s 50th birthday. Because the ages of the guests ranged from 4 months to 75 years, the menu I chose had to be varied. The menu was pigs in a blanket, stuffed mushroom, chicken piccata, bbq pulled pork, baked ziti, mac and cheese and grilled vegetables. Everything was delicious! Christa arrived on time and set everything up. During the party, not only did she keep the food warm and fresh but also cleaned up abandoned plates, cups and took the trash out. (If you have ever had a party with over fifty guests, you know how tremendously helpful that is.) Anyway, the food was great and every guests was happy and full. Working with Roxanne and Christa was a truly wonderful and stress free experience. Thank-you both for everything you did. I will not hesitate to use them for my next event. I hired to cater a very important corporate event. We had about 50 of our most important clients and business partners attend. It was a critical event for our company and I’m extremely grateful I hired Roxanne and her team. They provided the food and bartending services. The whole experience was amazing. Roxanne helped me pick out which food items would be best for the type of event we were throwing. She quoted her services almost immediately and followed up several times leading up to the event to make sure everything was on track. As nervous as I was about planning all the little details for the event, I felt completely at ease when it came to the catering. Roxanne gave me all the confidence in the world. I thought several times about how I would like my own employees to provide the same level of customer service Roxanne provides. Roxanne and her assistant showed up to the event right on time and setup the food with an excellent presentation. Better yet, the food was amazing. I don’t often like eating catered food myself, but this food was awesome. Many of our guests commented at how nice the event was and specifically how great the food was. Both Roxanne and her assistant bartended the event, took care of replenishing the food trays, and took care of the cleanup. They were extremely polite and friendly with our guests in the process, which was also important to me. I found them on Yelp and felt extremely lucky that I did so. Believe the other 5 star reviews. This company is top notch. Roxanne, Eddie and Staff did a fantastic job catering my niece’s wedding reception! The food fabulous! They did all the cleanup as well Nd they worked very hard so I wouldn’t have to! It was wonderful! Thank you Gracie!! Short answer: HIRE THEM!! Highly recommend them!!! Detailed reason behind recommendation: Absolutely fantastic! 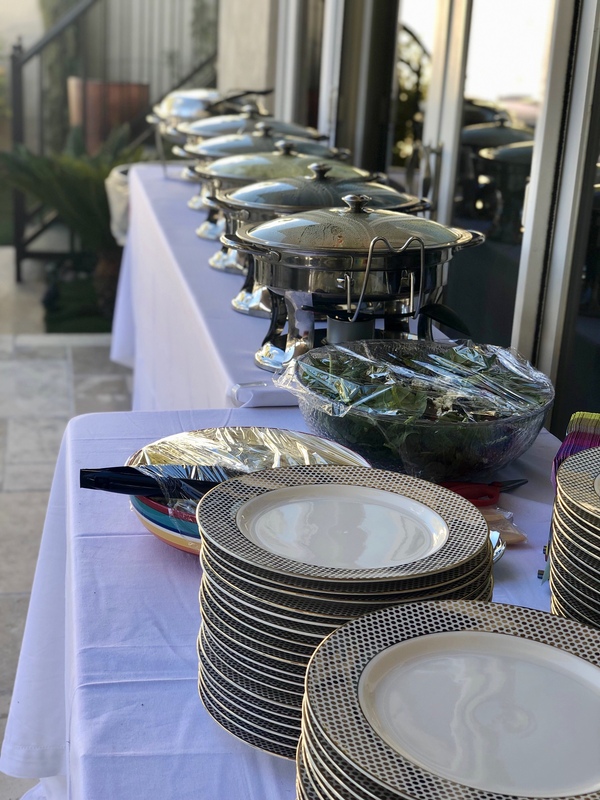 I contracted with them to provide full service catering – including hors d’oeuvres, Fish bruschetta, Chicken marsala, Gumbo, Grilled veggies, Asparagus, and Whipped potatoes – for my now husband & my wedding reception. So good, we may put in an order for a couple things next time we are in Vegas just because it’s mouth-wateringly good food! Just thinking about the chicken & potatoes and everything makes me wish they were closer! This may seem over the top, but I really, REALLY, can’t say enough good things about the food, customer service (through-out the whole endeavor), and our overall experience! Not only was the food super outstanding, but I planned the wedding from New Mexico and Roxanne was very easy to work with. My small complement of guests couldn’t say enough good things about the food. In addition, Krista provided the on-site service and she was so great; really made the whole experience easy and worked with the bartender to ensure that I didn’t really have to worry about anything! My father has severe allergies, which Roxanne relayed to Ed for consideration while he was preparing the food. Additionally, Krista was considerate to the point of labeling the containers with what was inside & marking the one my dad needed to avoid extra with ‘not for dad’ to be double sure he didn’t end up sick. If I am ever in need of a caterer in their service area I wouldn’t hesitate to hire this wonderful team again. Thank you so much for helping to make our wedding one of the top 10 days of my life – and I’ve had a good life! We hired for a welcome reception for our wedding and they did not disappoint! The food was amazing and the pricing was very reasonable! I highly recommend the stuffed mushrooms and Chicken Marsala. All the desserts were great too. Roxanne was a life saver when I needed a caterer for my father’s Celebration of Life party. She promptly returned my email enquiry. She was very professional. From helping me plan a buffet menu to delivery, setup and service I had no worries. I highly recommend! Need a caterer? Call Roxanne!! To let the bakery into our banquet room. Oh yeah, and don’t even worry about the food because it was amazing and everyone had plenty!!!! A million thank-yous to Roxanne! Absolutely DELICIOUS food, great family business, exceptional planning & presentation! DELICIOUS Food from a Funny Chef + Meticulous Planner = SUCCESSFUL EVENT!!! Love Love Eddie & Roxanne!!!!! First rate food. They will exceed your expectations! Wonderful people to deal with. We planned our destination wedding and chose them after reading reviews. They lived up to their reputation and then some. The food was wonderful, the service was gracious and on time and emails were always answered in a timely manner. Given the opportunity we would employ them again. Roxanne and her staff made our wedding day deliciously amazing! They arrived on time, all of the food came out promptly. We choose an array of appetizers and dinner items. We asked for Lemon Pepper Chicken that wasn’t on their list of options and without even questioning the request, nailed it! All of our wedding guests loved the chicken and steak. They left everything spotless and were very pleasant. My husband and I are still raving about the food and wish we had lifetime leftovers. We called upon Roxanne during the holiday season for a professional open house party. Roxanne was nothing but professional and helpful in organizing the event and working within a fairly tight budget. She was on time and as pleasant as can be. This catering service is ideal for events for professional service agencies. Our clients raved about the food and — although we were a good 30 miles from Roxanne’s kitchen — she monitored the freshness of the food. The experience was purely delightful and we will certainly use her again during our next occasion! Roxanne and Ed catered an 80th birthday party which had about 150 guests. We can”t say enough about how personable and professional the staff was. The food presentation was awsome and very good. We would’nt have anyone else for our future events! Thank you so much for helping make our party such a success. If anyone has any questions reguarding our experence please feel free to contact me. This review is probably one of the easiest for me to ever write because there are only amazing things to say about Roxanne & Ed! First, Roxanne’s follow up after initial inquiry was fantastic. She was so friendly on the phone, I found myself talking to her like an old friend. I could tell immediately that all the positive reviews I has read about their catering company must be true! We hired them for my sons 1st birthday party which had 30 guests. She stayed in contact with me throughout the weeks leading up and was always available to answer any questions I had. Roxanne even came to my house the week of the party to go over where everything should go and last minute details. I just loved her personality and felt totally confident everything would go smooth. The day of the party Roxanne & Ed arrived right on time and began setting up and taking my house over with the most incredible smells! They both were so friendly and easy going, I felt like I had family in the kitchen. It was such a wonderful feeling to go upstairs and get ready for the party and never once feel like I had to be downstairs in order for everything to go smoothly. When I came down everything was set up and looked amazing! We had a lot of food and I can honestly say every single dish was delicious! They cleaned up everything to the condition it was in before they came and went on their way when the party was over. I never had to worry about a thing. At one point during the party Roxanne went around collecting the paper plates that were garbage and discarded them for me! Such a great feeling to be able to enjoy a party and not have to worry about the kitchen aspect. Just had a party last night and they were absolutely fantastic!! I wanted a casual friendly vibe with great “heavy appetizers” vs. dinner and Roxanne totally delivered! Not only is she just a great person all around, the food was outstanding and was warm and fresh and overall really great! My guests were very complimentary and ate more than they would usually eat… the sign of great food! I will definitely have them cater my future parties. Good food, good people. great service! I chose them from their reviews as I live in CA and our party was in Las Vegas. They were beyond incredible. 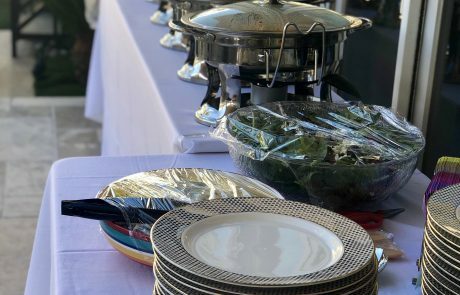 Great and easy to with, lots of food options from which to choose, punctual, fabulous food, brought everything that we needed, and cleaned up perfectly when the party was over. Thanks Roxanne, Eddie and Krista for wonderful food and service to celebrate our daughters 50th birthday. Cheers and more cheers. They helped make the party even more fun with their wonderful personalities. Thanks! I would highly recommend Ed and Roxanne for any catering event! They recently catered my sister- in- law’s party. They were a dream to work with. Their menu is extensive and the food was great. They arrived on time, set up a beautiful buffet and had everything cleaned up at the end and you didn’t even know they were there, except that they are a delightful couple who everyone thoroughly enjoyed! I would use them again in a heartbeat. Everyone in the Las Vegas/ Henderson area should give these folks a try for your next function! I cannot say enough about them. They are absolutely a 5+ business, going above and beyond for their clients. This included helping with the flower arrangements to assisting with putting up decorations for the vertically challenged individuals. Our event was a quasi surprise 60th birthday to consist of various appetizers. Every host/hostess greatest fear is not having enough food. Roxanne Nailed it perfectly. Everyone raved about the food, ate to their stomach’s content, thoroughly enjoyed talking with Roxanne and her husband Ed and had a wonderful time. Roxanne and Ed are so easy to work with and we are so glad we had, and will have further opportunities to work with them. I had this important event last week and had it catered. Not only was the food delicous but the presentation and setup was beyond impressive. I was so pleased as well as the other 40 guests that were there. Meeting Roxanne & Eddie was a treat, they were punctual, set up was quick, well organized they have great personalities and their attitudes are one’s you wish they were your neighbors or even family. Eddie makes an amazing “gravy” for those non back east Italiano’s that’s spaghetti sauce. Roxanne’s amazing dishes and her display of lemonades and tea’s it made this event top notch. Thank you to both of them I highly recommend you use them for your next event you won’t be disappointed. Our family recently held a 50th birthday bash at a Las Vegas hotel suite and we needed food for the event – unfortunately no one in the family lives in Las Vegas! I found them on the web, and was impressed by the reviews from other customers. I can now say that these positive reviews are well-deserved!! From the start Roxanne proved that they are a first-rate, professional catering company. She was responsive to emails and phone calls, and even made suggestions as to the types of food that would be best for our venue. I was a little nervous, having planned all this from my home in Ohio, but the experience was wonderful. The food was delicious and there was plenty for our crowd. The setup was fast and easy (or so Roxanne made it seem! ), and best of all cleanup was a breeze. I would definitely recommend them to anyone looking for a top-notch caterer. They certainly exceeded my expectations! 35 years of entertaining, never hired a caterer, this was my first time. Who knew how much fun a hostess could have at her own party! Sit down dinner for 12 was seamless; menu was delicious w/plenty of appetizers & 2 entree choices. Serving & spotless cleanup worth the extra expense. Great communication, prompt, efficient and kind natured. Roxanne & Ed are true professionals who love what they do. If you are looking for a great catering company look no further – they are absoletly fantastic. They responded promplty to all calls and emails, catered our event exactly to our specifications, the set up was fantastic and the food delicious. Roxanne and Eddie are both personable and professional. We couldn’t be happier and will definately us them again. I cannot say enough good things about them! I tried to show my appreciation by sharing their contact info with as many people as possible. The food was amazing! The customer service was at a level which I have never encountered (and that’s saying something as we have lived all over the world). The entire process from menu selection, payment and general planning correspondence to set up, food quality and professionalism were the best we’ve ever had, anywhere, bar none! They catered a party which eventually increased in size to over 100 guests in our home. We had purchased food for 60 and somehow, miraculously (or more likely planned that way), we never ran out of food! And they even threw in a delicious bonus appetizer for free! We are pretty picky Italian food diners, being from back east and ourselves Italian and this was the first time food not only lived up to our exacting taste but far exceeded it. In fact, we enjoyed some leftover sauce with pasta for dinner tonight (the only leftovers, also a first). So if you’re looking to feed a crowd or just a small, intimate group, look no further! You won’t find anyone better or more reasonably priced! We used them for a breakfast meeting of 17 people. Not only was the food delicious and presented well, but the service was outstanding from start to finish. Roxanne was quickly responsive to my emails, checked in with me the day before and the day after, and worked with my colleague in Las Vegas to make sure all went well, since as the organizer I was in California. I would definitely use them again!!! I would give this place 40 stars if I could. Roxanne, her husband and staff — everything was beyond our expectations. My husband and I planned and executed a wedding in under 3 weeks. The most important thing to us about the event was that the FOOD (duh). We were open to suggestions and recommendations, but ultimately it came down to doing our own research and going with our gut (no pun intended). Our idea of perfection was simple homestyle cooking with great service and that it is exactly what we got. Sliders, sausage & peppers, caprese salad, fried ravioli, skewerless chicken, chicken piccata, Italian meatballs in marinara — we handpicked the menu and EVERYTHING was just so delicious. We had our wedding at my aunt’s house and she is a very particular & clean person. She could not stop raving about how clean and gracious Roxanne, her husband, and staff were. On top of how delicious everything was, they were so gracious and so professional. We both come from “picky” families and we figured we weren’t going to make everyone happy with our selection but EVERYONE kept raving about the food. If you have an event big or small, I urge you to check out their website and give them a call. The price is reasonable for the quantity and quality and just to put it in simple terms – it’s great food. I definitely plan on using them again and I already have friends and family that took their card and used them since our wedding. I cannot thank them enough for helping us have the perfect little wedding. I am so glad to have found them. We enjoyed each and every bite!! Did not dissapoint! WOW! After researching on Yelp, I decided to go wiith them for our Vegas wedding reception. We chose 5 appetizers (all delish) and they gave us bonus fruit platter (needed a little healthy item!). They set up and made sure everything was to our liking. Great communication and this husband/wife team is very friendly and quick to respond to all emails/calls. Major bonus: I told them we loved fried pickles (being from Texas and all) and even though they weren’t familiar with this or on thier menu, they got them for us! What a hit! I highly reccomend their catering service! Outstanding….and tasty!! I am still dreaming of the stuffed mushrooms and scampi…. I loved working with Roxanne. I had a retirement party for my husband on Nov. 3rd and needed someone to cater the appetizers and side dishes. From the first phone call to the last, Roxanne was so sweet to work with. She always kept in contact with me and followed up on everything that we talked about. The food was DELICIOUS! Roxanne and Ed showed up a bit early and put everything together while I was still getting ready – when I was finally ready all of the food was organized and ready to be put out. So great that they were able to take over and make everything happen. I cannot recommend this company enough – they are very down to earth, fantastic to deal with and did a wonderful job. Absolute 5 star company no questions asked. Roxanne and Ed catered my wedding on September 1st at a private home here in Las Vegas. I was absolutely thrilled with their setup, their timing, and the food! From start to finish my entire time spent dealing with Roxanne was the BEST. I am so glad I found this catering company for my wedding. It is really like you are having FRIENDS cater your wedding, not strangers. Roxanne was in contact with me from the start of signing the contract up to the end of my wedding and a few days after. Offers many delicious options AND you can request certain foods as well. My husband dearly loves a midwestern favorite – cheese balls. Really they are just balls of cheddar cheese deep fried, but I knew he would love them. They made us cheese balls and they were a huge hit with everyone – not just my fiance! I highly, highly recommend this catering company. When I needed to find a caterer for my parents 50th Wedding Anniversary I was in New Orleans!! But from the start over the phone Roxanne was warm and receptive to our ideas, made wonderful suggestions, and did enough hand holding that I felt confident about my caterer selection. They were on time, and were a joy to have in the house full of guests — and the food was fantastic! They couldn’t have been more accommodating. We have a great time, great food, and I couldn’t recommend them enough! What else can I say other than THANK YOU. My wife and I decided that DIY was the direction that we were going to go with our wedding. It was fun to do it but one thing that was a concern of ours was the caterer. Since we both cook quite a bit, and both of our families are the same way, the catering was a constant concern. Enter Goodnight Gracie. We found them (as well as other caterers) on Yelp. I can say that I spoke to each caterer once or twice at the most but I spoke with Roxanne at least 15 times…and that was before I actually met her. She was charming and very comforting. Now to the big day-they came in and handled it. The food was UNBELIEVABLE-my suggestion is get 2 main courses and make sure one of them is the Shrimp Scampi. Trust me. Eddie is a master chef who genuinely takes pride in his craft. He has a sincerity about him that is very endearing and bottom-line his food is delectable. Their staff was friendly, accommodating, and flexible. Needless to say we kept them on their toes and they handled every piece of adversity without a blink of an eye. We really appreciate you Eddie And Roxanne. We wish you many successes and are very appreciative of your contribution to your big day. Emailed them 3 days before our St Patrick Day’s housewarming (still unpacking boxes). Roxanne called me back almost instaneously, we planned a selection of stand-up appetizers for 40 people. Roxanne and Ed arrived exactly on timeas promised, set up everything, were so gracious and charming they were invited to the party! That the food was excellent was proven that it was completely gone! Would have liked to have leftoversnot although on the other hand it made clean up a breeze! I was flying in to Las Vegas for Super Bowl weekend and on the Wednesday prior, I found out that I was in charge of hosting a Super Bowl party for clients and colleagues. I not only had to get a caterer but a location and invites out in less than 72 hours. Roxanne and Eddie made my life much easier by planning and organizing the food for me and guaranteeing arrival. On Super Bowl Sunday, no less. The party was a hit and more importantly, the food is what was talked about. Not the suite on the top floor of the hotel. Great Food and Great People. Book them for your next gig!!! Roxanne and Ed are the best!!! I had my wedding in Vegas last weekend. I booked them based on the yelp reviews and I will say they deserve 5 stars every time! Roxanne helped me plan the party by email and was not at all dismayed by my constantly changing number of guests and evolving menu. Most importantly they were great on wedding day by arriving to the hotel and setting up while we were at the chapel. Not only did they arrange the food, they actually turned our suite into a party space by rearranging the table and chairs. Last but not least, the food was fabulous! Everyone loved it and gave compliments. If you are planning a wedding or any event in Vegas, I would highly recommend them. Thank you Roxanne and Ed!!! We just came back from our Vegas wedding that we had a month ago and Ed and Roxanne provided the catering service for us. 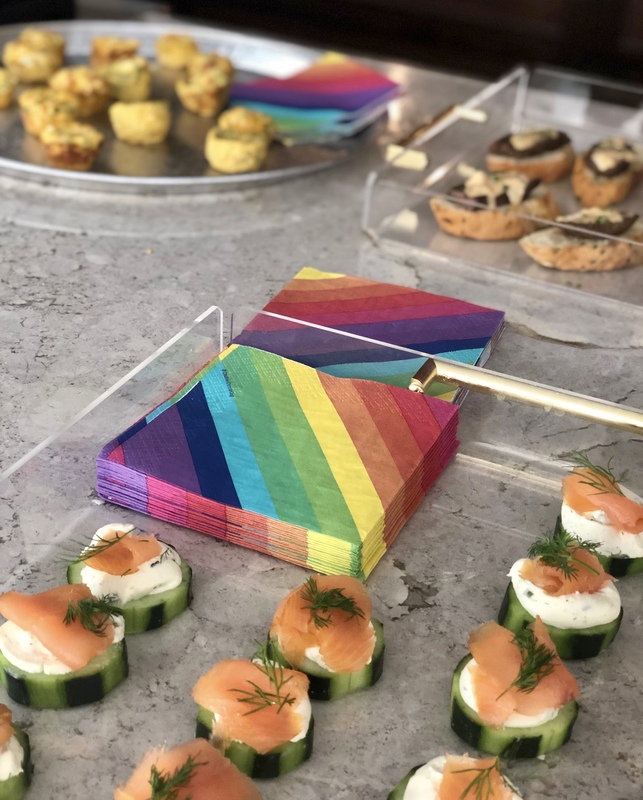 We live in Connecticut and choosing a caterer across the country is not an easy task but after talking to Roxanne for 5 minutes we felt the stress (at least for the catering) level go away and a feeling of confidence set in. They made what could be a difficult part of our wedding plans turn into fun and excitement. We felt very comfortable after several conversations, so comfortable that when we received a phone call 3 weeks before our wedding, our Vegas house rental had a fire and would NOT be available for our 22 guest, we had no where else to turn so we called Roxanne at 10 o’clock at night looking for some help. She was instrumental in hooking us up with the most amazing house in Vegas that absolutely made our wedding a huge success. Ed didn’t fold under pressure either. We had some tough critics with us that are amazing cooks in their own right that were gushing with compliments as well. Everyone was so relaxed with Ed and Roxanne running the show. We can’t say enough about them but we can start by saying this was a great experience and that without at doubt will make your event a hit. My wife and I used them for our wedding in Vegas last year. They were absolutely wonderful. We were paying for the entire wedding ourselves, so we were on a tight budget. Roxanne and Ed (the owners of the company,) were very gracious and accommodating. They helped us find a menu that fit in our budget but was still elegant and delicious. We had the whole wedding service, reception and all, in the back yard of a vacation house we rented. If it wasn’t for the amazing smells coming out of the kitchen that morning we wouldn’t have even known they were there. They were extremely professional and they really went above and beyond for us. When an extremely obnoxious and horrible, evil, coldblooded vulture of a relative (on the wife’s side,) showed up a day before the wedding and demanded that we add fruit to the menu, simply because she is queen of the universe and everyone around her must bow to her and jump at her every whim, Roxanne and Ed put together a huge fruit buffet along with a chocolate fountain at no extra charge! 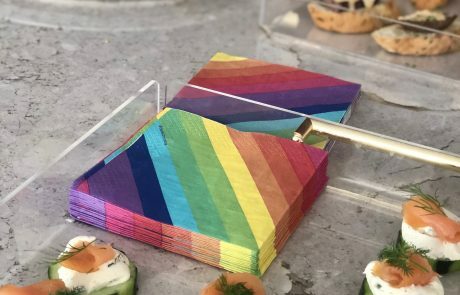 I only wish we had enough money left over at the end of the wedding to leave a fat tip for them. As it was, the little wife and I barely had enough cash left over to gas up the old Volvo and drive back to Texas. They are an amazing catering team and you would be foolish to go with anyone else. The food was amazing, but the service was out of this world. I used them for a reception at a co-workers home after a funeral. They were wonderful! I asked them to take care of every detail and they did! I didn’t have to do a thing except help pick food. I got compliments like crazy! My co-workers are still talking about it and we look forward to using them at our next event. Oh, and they’re very reasonably priced. We loved the pigs in a blanket, stuffed mushrooms, and bruschetta. Yummmm!!! To top it all off, you can really tell they love their work. We attended the destination wedding and the food was fantastic! Everything that was served was so delicious! The stuffed mushrooms were so flavorful and had a little crunch which was delightful. Their ribs are to die for! The meat just melted in my mouth! Plus, the caterers themselves were so friendly and welcoming! It would sure be nice if they were in Austin! Roxanne and Ed catered our Vegas destination wedding a couple of weeks ago and I just cannot say enough nice things about them. The communication leading up to our event was clear, detailed, professional and friendly. I thought catering would be a lot more daunting a task to plan from long distance. But, they made it seamless. They really WOWed us on wedding day! Everything looked, smelled and tasted amazing. They were so nice and had it all together. They even added a chocolate fountain to our dessert table at no extra cost! All of our guests gushed about how tasty everything was. We had stuffed mushrooms, mini-sliders, chicken marsala, chicken francoise, baby back ribs and eggplant lasagna. Not a single bit of it disappointed. My taste buds are getting excited just writing this review. They are amazing. Hire them. I love them and would absolutely find an excuse to use them again if I make it back out to Las Vegas. They provided us a wonderful intimate dinner party last week. The food was delicious, and each dish was better than the last. Our favorite was the Artichoke Hearts Francoise and Shrimp Scampi. We would definitely use them again for any of our functions.